This 3 star hotel is located in the city centre of Sliema and was established in 1989. It is a short drive away from the Valletta. The Hotel has 2 restaurants, 2 bars, a coffee shop and a fitness centre/gym. All 106 rooms are equipped with hairdryer, safe and air conditioning 7th Floor restaurant is open for B'Fast Only & occassionaly for Dinner during Peak Summer. Dinner is mainly served at the Ground floor Pizzeria/Restaurant. Promo Rooms do not have Balcony or Terrace- Promo Rooms are internal i.e windows in shafts. Whrlpool & sun Terrace closed from November till March. Train station - None, Distance(0.0). Place of interest - Valletta, Distance(3.0). Exhibition centre - Valletta, Distance(3.0). Shopping area - Sliema Centre, Distance(1.0). Two Pillows Boutique Hostel is situated right in the heart of Sliema, in one of the most central, convenient yet tranquil areas on the island. It is literally a stone's throw away from the sea and within walking distance to some great beaches and lidos. You can stroll down to cafés, bars, restaurants and shops in just a couple of minutes. This makes for an ideal base to explore the Maltese Islands. Accommodation options range from luxurious studio apartments to budget options for youths and other travellers in the spacious, clean and comfortable hostel dorms. Two Pillows is the first boutique hostel in Malta. Modern design was blended with the old architecture including limestone walls, Maltese balcony, wooden beams and our lovely staircase. The concept of the hostel is innovative and all the rooms were individually planned and special care was given to guest requirements. All rooms have silent air-conditioning and free WI-FI. All of the rooms have been professionally converted within this traditional Maltese townhouse setting, blending the authentic ambience with convenient modern touches. 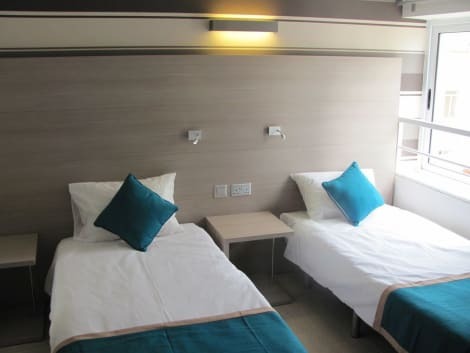 Although the Hostel first opened its doors in 2013, it was extensively refurbished again in 2017, with a further set of rooms added into the expansion. Please let the property know your expected arrival time in advance. If you expect to arrive outside check-in hours, please inform the property in advance so that they can issue you with a key code to enter the property. Wrap up your day with a drink at the poolside bar. Continental breakfasts are available daily from 7:00 AM to 10:00 AM for a fee. Make yourself at home in one of the 40 air-conditioned rooms featuring minibars. Wireless Internet access (surcharge) keeps you connected, and cable programming is available for your entertainment. Private bathrooms with showers feature complimentary toiletries and hair dryers. Conveniences include phones, as well as safes and coffee/tea makers. 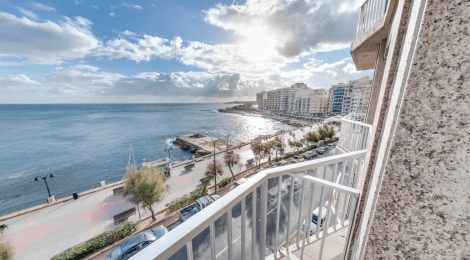 Sliema Hotel by ST Hotels is a seafront hotel in the heart of Sliema city center, offering easy and convenient access to pubs, trendy cafes, beaches, and Tigne shopping malls. Malta's popular nightspot, St. Julian's, is just minutes away. All spacious rooms at Sliema Hotel feature air-conditioning, free Wi-Fi and satellite TV, and come with and a private bathroom. Some of the rooms overlook the sea, the historic Valletta Bastions and the picturesque Sliema ferries. From the Sea view/Superior rooms guests can enjoy spectacular views. Sliema Bus Station Terminal and ferry dock are just 200 meters away from the hotel, providing great connections around the island. The reception is open 24 hours a day. The friendly staff will be happy to help with useful information of the area and to book additional services like bikes and scooters rental.Please note : In case of a Early departure and No-Show the total booking amount will be charged.During Check-in the front desk staff will request a deposit to be secured by credit card. If a credit card is not available, the hotel will request a refundable deposit of €100 per room.